Google’s self-driving cars have notched up almost 1.5 million miles in autonomous mode since the project began in 2009 – but they drive twice as many miles every single day in the lab. Google’s latest monthly report reveals that every software change is tested by using it to simulate driving the entire driving history of the fleet, autonomous and manual. Where the team identifies an area where the car’s performance needs to improve, as in a three-car merge, they use the simulator to create “thousands of variations” of the situation to see how the car handles each of them. Google also simulates how things would have turned out in those situations where a human driver felt they needed to take over. Each time a test driver takes over from the self-driving car, we’re able to play back the exact situation and predict via simulation what could have happened if the car had been left to drive itself. If the simulator shows better driving is called for, our engineers can make refinements to the software, and run those changes in simulation in order to test the fixes. It’s a fascinating insight into the amount of work that it takes to pull off a project of this complexity, with Google using its data centers to provide the computing power needed to run the simulations. The January report also notes that there were no new accidents to report. 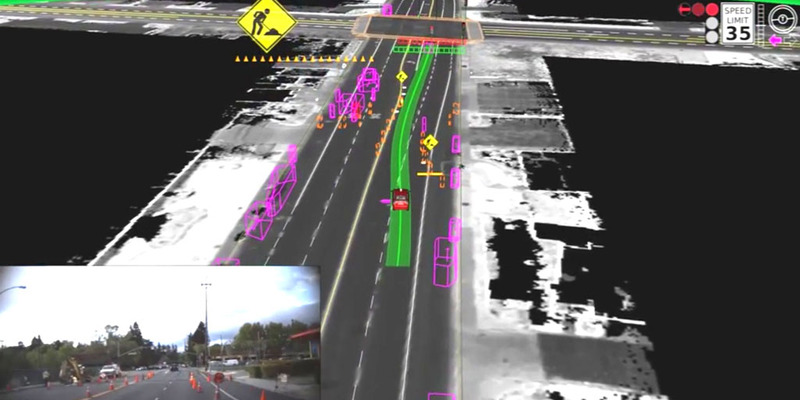 While Google’s self-driving cars have never been found to be at fault in an accident, the company recently revealed that the cars would have caused ten accidents last year had the drivers not spotted a problem and taken control.